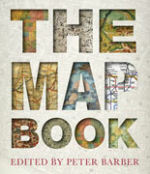 Earl McElfresh contributed a Civil War mapping monograph to The Map Book edited by Peter Barber, map librarian at the British Museum Map Library. The above link takes you to the publisher's website. The May/June issue of Mercator's World (Volume 5, Number 3) features "Blinded Giant", an article about Robert E. Lee, Maps and Gettysburg. The article features excellent reproductions in unprecedented detail of Jed Hotchkiss's theater map of Maryland and Pennsylvania, and his maps of Chancellorsville, the Shenandoah and Cumberland Valley. Unfortunately the Mercator's World website is no longer available. Civil WarTimes, Make Straight his Path June 2007, Volume XLVI, Number 4. Civil War Times, Only Take the Top Rail April 2008, Volume XLVII Number 2. Americas Civil War, Mapping Out a Total War Strategy May 2009, Volume 22, Number 2. Civil War Times, More Than Meets the Eye December 20009, Volume XLVIII , Number 6. The Portolan, Mapping and Robert E. Lees Gettysburg Campaign Fall 2010 Issue 78. Civil War Times, Stonewalls Silent Ally December 2011, Volume 49, Number 6. Bulletin:Special Libraries Association: Geography and Map Division, Richmond is a Hard Road to Travel Number 178, December 1994. Bulletin:Special Libraries Association: Geography and Map Division, Re-writing the maps of the American Civil War Number 178, December 1994.